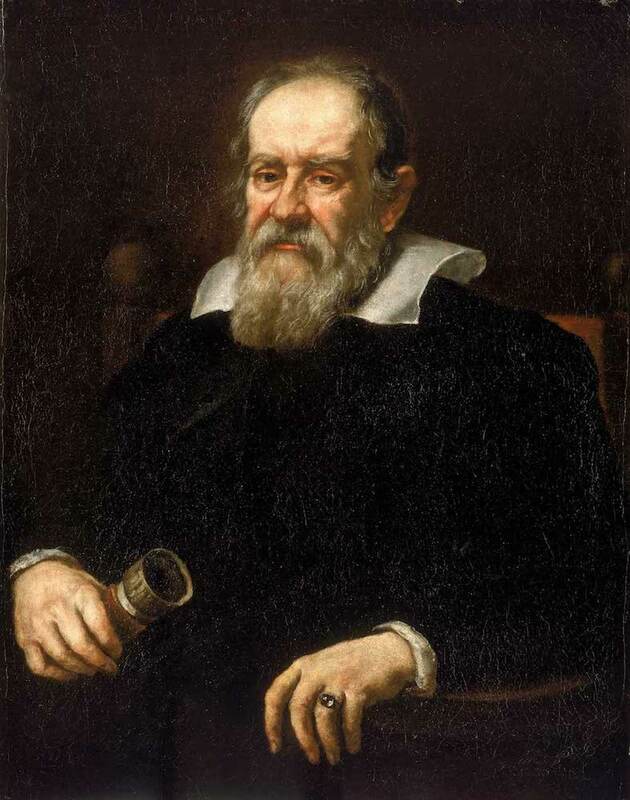 Galileo Galilei is known for his research in many fields, such as physics and astronomy. He researched theories of relativity and motion and remained devoted to his studies, even in the face of opposition. Let’s take a brief look at a few of Galileo Galilei’s major accomplishments. Galileo Galilei was born in Italy on February 15th, 1564 to Giulia Ammannati and Vincenzo Galilei, a renowned lute player. In his youth, Galileo was interested in becoming a priest, but his father wanted him to become a physician, which was a more profitable career path. to study medicine. However, this failed to interest him and he didn’t complete his degree. Instead, Galileo found a subject that would captivate him his entire life: mathematics. Although Galileo’s father initially opposed this education choice, he eventually allowed his son to study mathematics. A portrait of Galileo Galilei. Image in the public domain, via Wikimedia Commons. In addition to studying physics and mathematics, Galileo also gave private mathematics lessons. In 1586, he published a book on a hydrostatic balance that he had invented. In 1589, Galileo’s passion and talent landed him a position as the chair of mathematics at the University of Pisa. Galileo’s father died shortly after in 1591. As a result, Galileo, the oldest son, was tasked with supporting his family. Motivated by the need for a higher income, Galileo took a well-paying job in 1592 as a professor at the University of Padua. It was during this time that he met Marina Gamba, with whom he had three children. 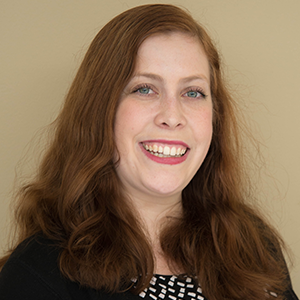 While at this position and after, he made many important discoveries across multiple fields. We discuss a few of his many achievements below. During his lifetime, Galileo extensively studied motion in the world around him. Pendulums, for instance, were a subject he pondered for most of his life. Supposedly, Galileo first became interested in pendulums when he observed a swinging chandelier during his school days at the University of Pisa. 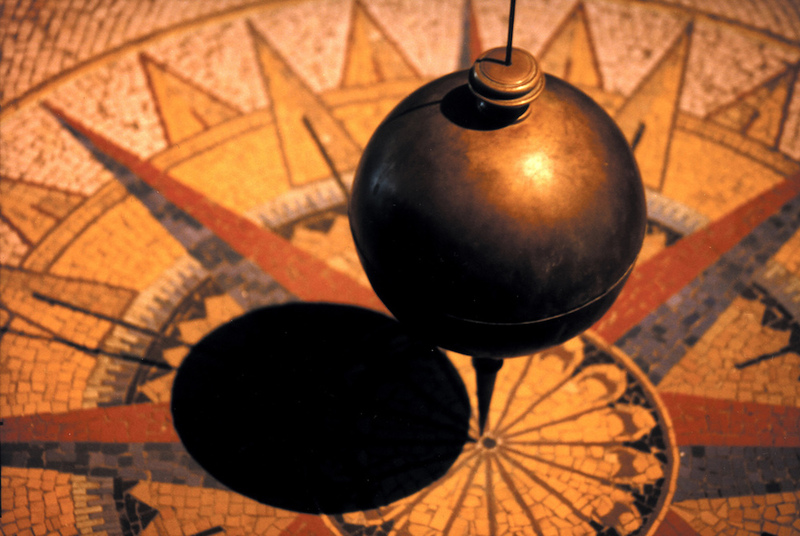 Galileo noted that a pendulum takes the same amount of time to swing back and forth, regardless of the amplitude or arc of the swing. This led him to believe that pendulums could be used to build clocks. A pendulum. Image by sylvar — Own work. Licensed under CC BY 2.0, via Flickr Creative Commons. Galileo also suggested a basic principle of relativity, or invariance, and researched the motion of falling bodies. On the latter subject, he proposed that all objects, no matter their density, fall at a uniform rate in a vacuum. These are, of course, only a few of his findings.
. Galileo’s telescope was not only a profitable invention, but also helped him advance the field of astronomy. For instance, when using his telescope to observe space, Galileo managed to see that the moon’s surface is uneven. 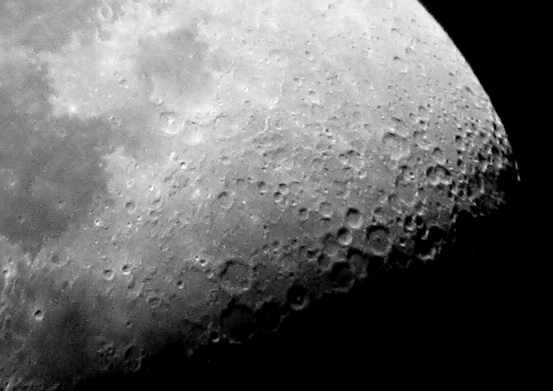 The uneven surface of the moon. Image by Cristóbal Alvarado Minic — Own work. Licensed under CC BY 2.0, via Flickr Creative Commons. Galileo also used his telescope to discover Jupiter’s four largest moons. Originally, he named them the Medician stars after Cosimo de’ Medici, the Grand Duke of Tuscany. Later on, the stars’ names were changed to the Galilean moons to honor Galileo himself. His observations were an astronomical success and Galileo discussed these new insights in his 1610 publication The Starry Messenger. Jupiter and three of the four Galilean moons. Image by Jatinderjit Singh — Own work. Licensed under CC BY-SA 2.0, via Flickr Creative Commons. Later in the same year, Galileo made an important discovery about Venus; namely, it has a set of phases just like the moon. His cosmos-related discoveries continued in the following years, with Galileo studying subjects such as sunspots. Galileo supported heliocentrism, the idea that the earth revolves around the sun, as scientists such as Nicolaus Copernicus previously suggested. However, this was a controversial belief during Galileo’s lifetime, as many people thought the opposite was true. In the end, Galileo’s beliefs led him to be placed under house arrest in 1633, a punishment that lasted until the end of his life in 1642. Due to his work in astronomy, Galileo has been called the father of observational astronomy. He has also made major contributions in the fields of physics, philosophy, and mathematics. With his research, Galileo played an important role in the scientific community of the 1600s. He challenged the established views of the world around us and inspired pioneering scientists such as Albert Einstein. 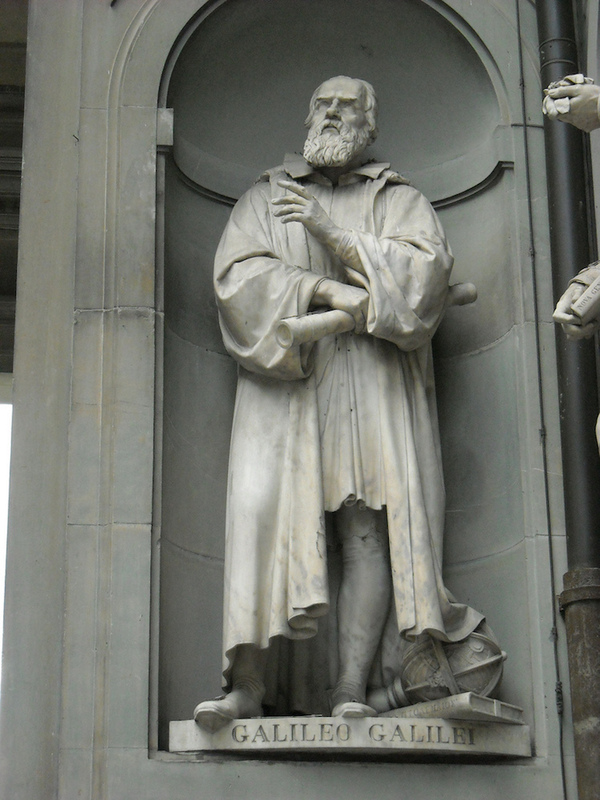 Statue of Galileo Galilei. Image by Michael Moore — Own work. Licensed under CC BY-SA 2.0, via Flickr Creative Commons. Today, let’s wish Galileo Galilei a happy birthday!